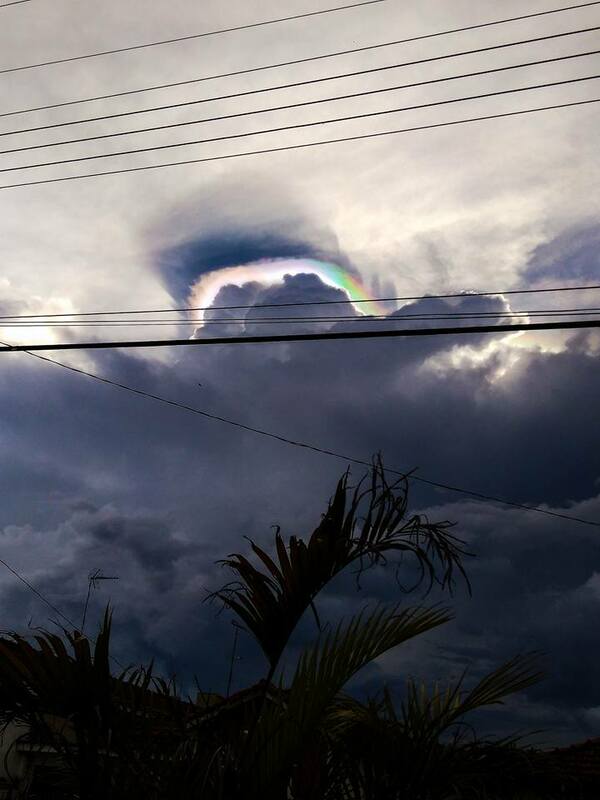 Look at this spectacular iridescent pileus cap over a gigantic cumulonimbus in Porto Ferreira, Brazil on Jan 14. It’s like the cloud is being irradiated from above, like a sign from heaven. 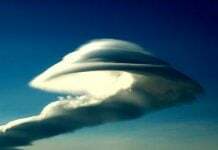 A pileus or cap cloud, is a small, horizontal, lenticular cloud appearing above a cumulus or cumulonimbus cloud. Pilei are formed by strong updraft at lower altitudes, acting upon moist air above, causing the air to cool to its dew point. 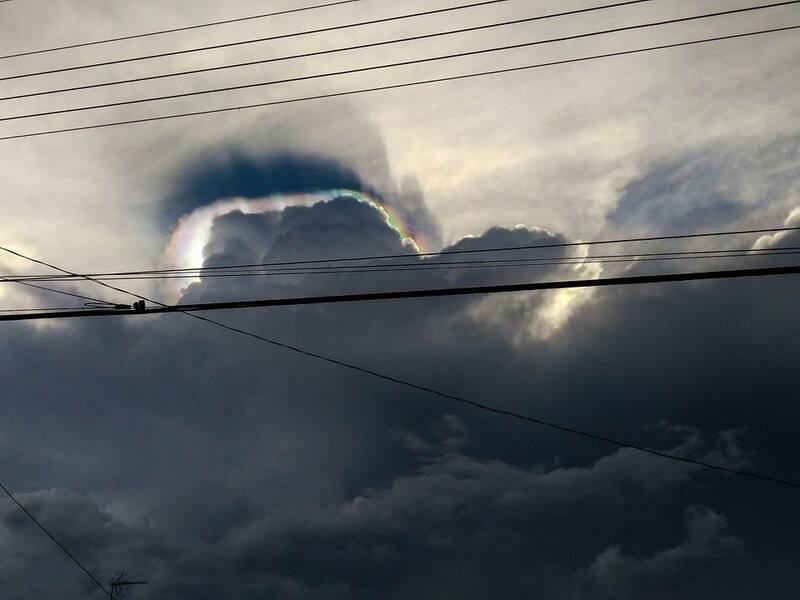 Pileus clouds are usually indicators of severe weather. 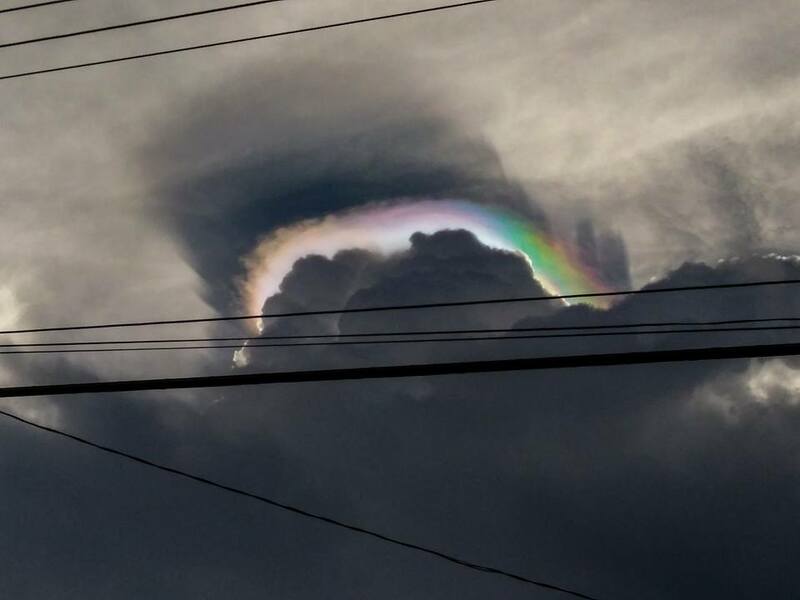 And if the ‘cap’ is situated atop a cumulus cloud, it often foreshadows transformation into a cumulonimbus cloud, as pilei indicate a strong updraft within the cloud. 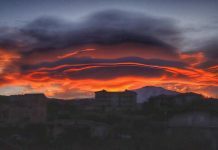 Pilei can also form above ash clouds and pyrocumulus clouds from erupting volcanoes, and above some mushroom clouds of high-yield nuclear detonations. 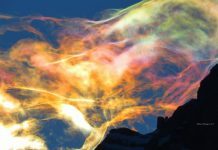 This must be a mother ship of Galactic Federation of Light!